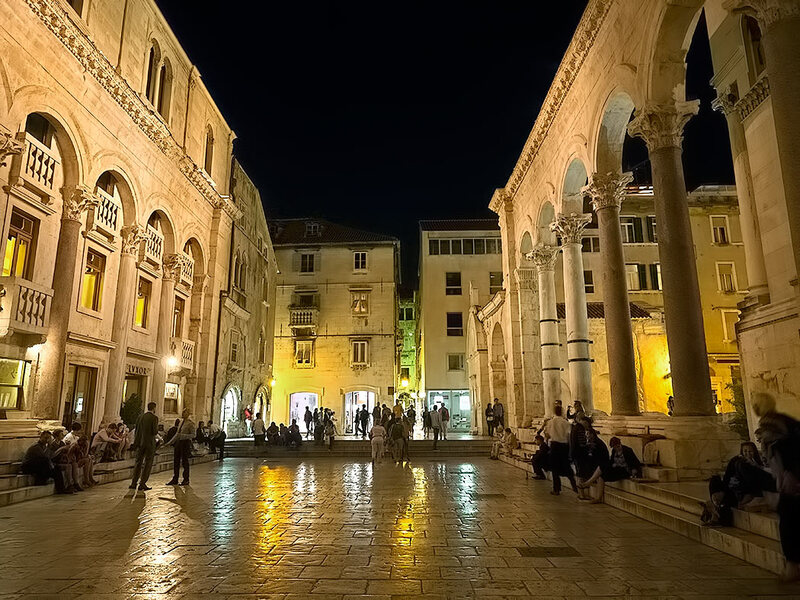 Click on title to view photo in large format: For centuries, the Peristyle of Diocletian’s Palace served as the main gathering place for the town of Split, Croatia. Built at the beginning of the 4th century AD, the palace was originally intended as a private residence for the Roman Emperor Diocletian. Initially, the Peristyle led to the main entrance of his living quarters. Over time, parts of the complex were converted for commercial use, homes, and even military barracks, and the plaza became a public gathering place. Today, though the Peristyle is no longer the main square for the city, it is popular with tourists, who sit on the marble steps sipping fine wines and listening to live music.